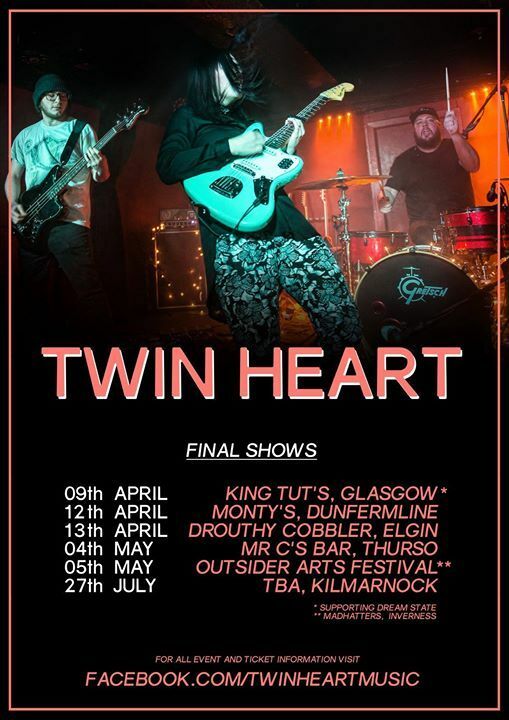 The final chance to see our good friends in Twin Heart perform one final time in Monty's Rock Bar! 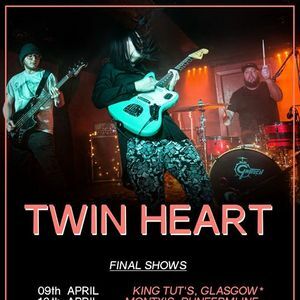 Let us make this the send of they deserve as Twin Heart have always played absolutely epic shows for you all and have always supported the venue through various methods. Please... Invite and share... and most importantly show these lovely people the love they have earned and deserve! Support on the night comes from friends of the band For Pony!, Minches and Lauren & Laura. It will be nothing but good vibes and good people!! !